How Will You Pay for Your Engineering Master’s Degree? Earning a master’s degree in engineering is expensive – no two ways about it. With rising student debt reaching a crisis point in the U.S., knowing how you will pay for your master’s is a vital part of deciding whether or not to enroll. There are many financial resources available for graduate students that can make a big difference both before and after you earn your degree. For example, student loans need to be repaid after graduation, while grants and scholarships do not, which means that where your funds come from will affect your post-graduation financial landscape. But before you start looking for financial assistance, it’s important to assess whether the cost of a master’s degree – in time as well as money– will give you a worthwhile return on your investment. Return on Investment: Is a Master’s Degree in Engineering Worth It? 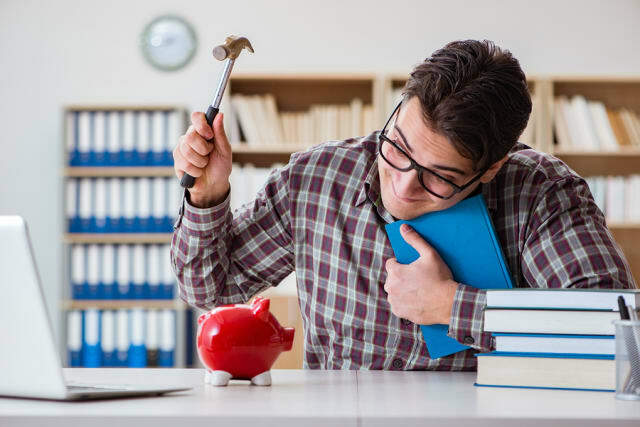 Regardless of the methods you end up using to pay for your degree, it is a good idea to determine whether an Engineering Master’s degree will give enough of a financial benefit for the initial costs to be worthwhile. 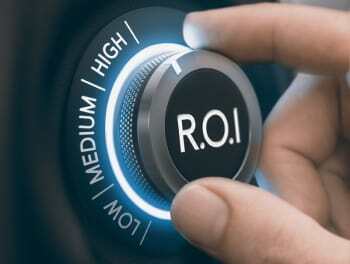 One of the best ways to gauge the ROI on a master’s degree is to determine whether you will see significantly higher salary opportunities as a result of obtaining the degree. 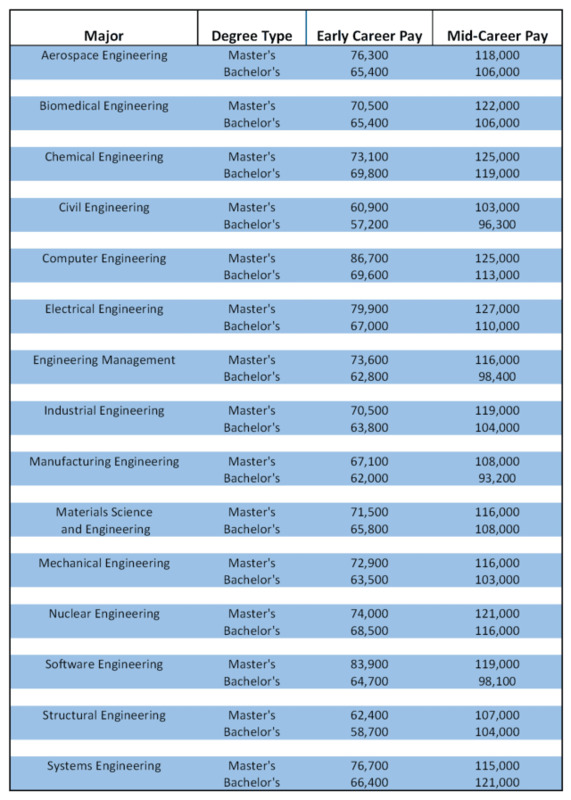 The table below will give you some idea of the pay difference for those holding a Master’s as well as a Bachelor’s. But this list is by no means exhaustive. Be sure to do your own research into specific salary data for the engineering field in which you want to pursue your career. There are also a number of online ROI calculators that can help you determine if a M.S. will give you an advantageous return. If you’ve decided that an engineering master’s degree is a worthwhile investment– great! Now it’s time to figure out how to pay for it. There are many ways students can get financial aid for their graduate studies, including through your education institution, your employer and federal financial assistance programs. Most student financial aid options are non-exclusive, meaning you can get funding from multiple sources simultaneously, though this does depend on your circumstances and eligibility for specific programs. There are several ways to mitigate the total costs of your degree even before you begin hunting for sources of financial assistance. One of the most obvious ways to balance the costs of your education is to continue working while pursuing your master’s degree. This is much easier to do than in the past, thanks to the wide variety of online engineering master’s degree programs available through universities and colleges across the country. 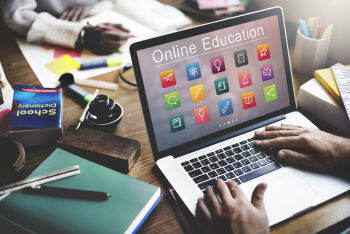 These programs are structured to be accessible online from any location, and are typically less expensive, in terms of tuition and material costs, than traditional on-campus programs. Depending on the degree you’re interested in, you can save a significant amount by not having to relocate or purchase expensive educational materials. Online degree programs also feature flexible schedules, meaning you can continue to work full-time. In addition, almost all of the educational financial assistance options discussed below apply to completing an online master’s degree as well as on-campus programs. Many companies have programs in place to provide financial assistance to their employees who wish to pursue a master’s degree related to their field. According to the IRS, employers are allowed to provide up to $5,250 in tax-free educational assistance per year to help their employees pay for schooling. While it’s possible to get additional reimbursement, it will be taxable and availability varies by company. While not every company will have an established program for employee educational assistance, it never hurts to ask. Prepare your case for requesting financial assistance, and present it to your employer – the worst they can do is say no. While these arrangements aren’t a new development, they still aren’t common. Whether this method of financing a graduate education will work for you depends on your own unique situation, but for some students an income-share agreement can be a viable strategy. The basic premise of an income share agreement (ISA) is that, in exchange for the funds needed to pursue a degree, the student borrower ages to pay a percentage of their post-graduation income back to the lender. As an alternative to traditional private student loans, ISAs can offer several benefits. Because payments are based on a set percentage of income, they should be affordable regardless of what job or salary a borrower gets after graduating. This means less risk to the borrower compared to private loan agreements with set payment amounts. The details of the agreement will vary by lender, but most ISA repayment plans are for a 10-year period after graduating. This is a much shorter period compared to many private lenders, whose repayment plans can reach 20 years. It’s important to note that while a higher income will mean higher payment amounts, a lower income or period of unemployment can see payments as low as zero. In addition, most ISAs have a maximum cap on the repayment amount, either on per-monthly basis, or over the lifetime of the repayment period. Purdue’s Back a Boiler Program – An example of a university-led ISA program. Educational financial assistance from the Federal government is available through the U.S. Department of Education’s Federal Student Aid office. This is one of the most common ways for students to get financial assistance for their education. Typically, there are few restrictions on how students use these funds, meaning they can apply these dollars toward tuition, textbooks, software or rent and living expenses as needed. Eligibility for federal financial aid, and the amounts available to you, are determined by the Free Application for Federal Student Aid, or FAFSA. This information is used for all decisions by federal aid options, and can also be useful – though not required – when looking into other forms of funding. For this reason, it’s a good idea to complete the FAFSA regardless of where you plan to look for financial aid. Federal financial aid encompasses several different options. While student loans are a common way for students to afford school, it’s important to remember that this is money that will need to be repaid after you graduate. 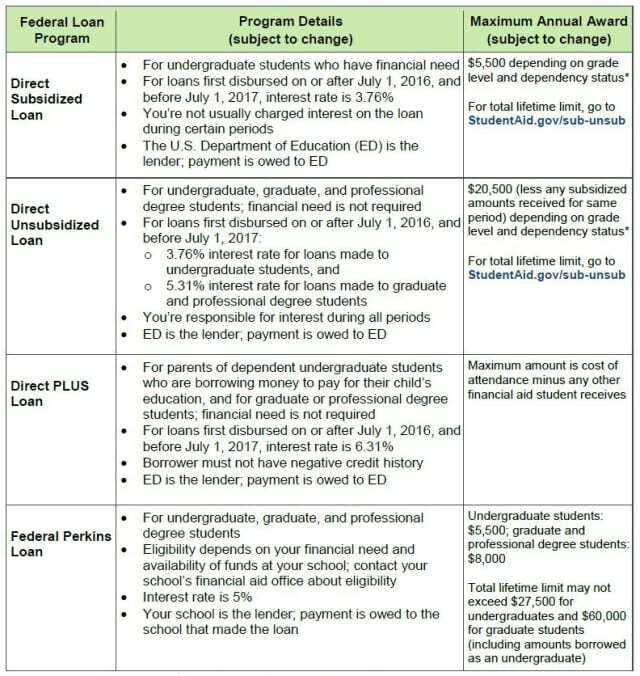 That being said, federal student loans to have some advantages over private loans, usually in terms of lower interest rates and flexible or deferred repayment options. These options include only paying interest while still in school, making no payments while in school or even having a grace period after graduating before you need to start repaying the loan amount. The idea behind this is to not only ensure that students can afford their studies, but that they will have time after graduating to get started on their careers before they must factor in loan payments. Grants are ideal for graduate students because this money usually do not need to be repaid after graduating. These are typically awarded as lump-sum amounts, and are typically discipline-specific. This is to encourage study in specific, high-value areas and in-demand fields. 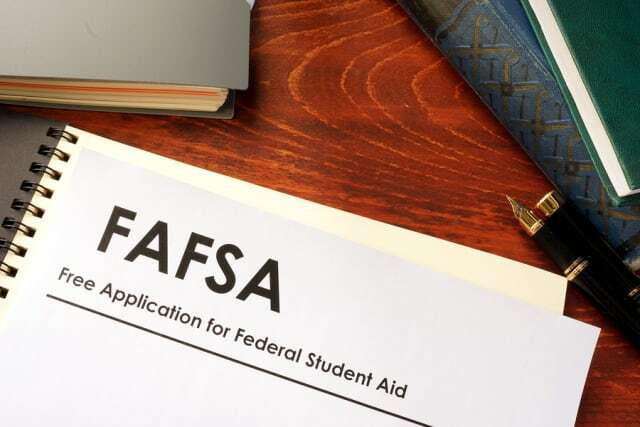 Federal grants are awarded based on the information in your FAFSA, and most grants consider financial need above other factors when determining the amount you are eligible to receive. One thing to watch for is that some scholarships or grants have conditions attached, such as maintaining a certain GPA in order to remain eligible. Holding a work-study job is another good way to offset educational costs while still in school. These positions are structured to enable students to both work and still study effectively and are most often available to students who can demonstrate financial need. Work-study pays at least minimum wage, if not a bit more, and hours are limited to a certain total for the year or the semester, as decided by the awarding agency. It’s important to note that not every school participates in the federal work-study program, so you will need to check with your school’s financial aid office to determine if this will be an option for you. Various education grants are also available at the state level. These can be both dependent on your studying in-state, or be tied only to a specific field of study. This means it is important to investigate grant opportunities both awarded by the state of the school you’re studying in as well as those available from your home state which are not contingent on studying there. Schools want students to pursue research on their campuses, so most educational institutions offer various financial aid options to enrolled students in an effort to recruit top academic talent. This aid – both eligibility, and amounts awarded – is based on a student’s FAFSA information, which will be used to determine need and what amounts will be given each student. This will differ from school to school, so contact your college or university’s financial aid office to get the opportunities and information for your program. Winning at least a few scholarships or a fellowship can make a big difference, since this is more money that does not need to be repaid after graduating. 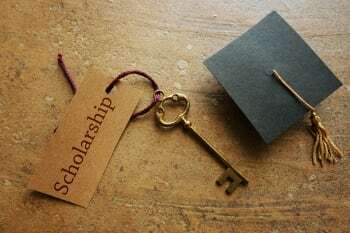 Scholarships and fellowships can be either need-based or merit-based, and fortunately there are hundreds – if not thousands – available to students at all levels of financial need and discipline of study. You will still have to work for them, however, ideally by researching and applying to as many scholarships and fellowships as possible. But putting in this effort can be very rewarding and net you some significant funding to offset the costs of your master’s degree. Where can you find scholarships and fellowships to apply to? Assistantships offer paid part-time work at your university, usually as either a teaching assistant or a research assistant for a professor. These positions are highly competitive, but help build leadership skills, as well as professional and technical experience, and so you should devote some time to researching the options and applying for positions that would suit you and your goals. If you know a professor you would like to work with, ask them if they have any assistantships available. Keep in mind that due to the competitive nature of these positions, you would do well to start looking and making inquiries of professors at least a year in advance of when you would want the assistantship. You can also check with the department to see what positions may be available at your school, and to get complete application process details. Teaching Assistants (TA), sometimes called Graduate Assistants (GA), usually take on academic teaching duties for an undergraduate course, which includes mentoring students, assisting with labs, leading tutorials and discussion sessions, marking assignments and holding office hours. Research Assistants (RA), sometimes called Graduate Research Assistance (GRA) pursue research-related duties under a professor, almost always within their own field of study. These positions are common in engineering and the sciences, and can involve working on research project teams, compiling data and performing experiments on behalf of the supervising professor and presenting findings at conferences. Graduate Student Assistants (GSA) fall somewhere between the other two positions, with more varied responsibilities not necessarily limited to research duties within their own field of study. 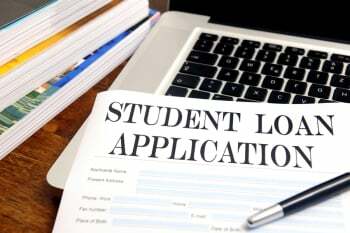 Students who are ineligible or otherwise can’t get enough money through federal student assistance and other means also have the option of private student loans through banks and other financial lending institutions. Obviously, this type of financial assistance must be repaid, so do your research before finalizing any loan agreements, to be sure that you can maintain eligibility for all terms, as well as ensuring that the loan will not create an unmanageable burden after graduation. Variable interest rates can make a big difference, so make sure you understand all the terms and conditions of the loan. The terms of your loan agreement will spell out all repayment options for you, and depending on the lender there might be other options. Once again: do your research, and make sure you find the best loan program and repayment options for your situation and goals. Whatever method—or combination of methods—you use to finance your graduate degree, the important thing is to find a solution that will get you the degree you want while making sure you can afford to live comfortably both before and after graduation. Still deciding on which engineering degree you want to pursue, or what school to attend? Check out our Graduate Degree Finder or our article Fast-Track Your Engineering Career with a Master’s Degree.